A pre-loved darning egg. Possibly owned by one of my grandmothers, but I´m not quite sure. 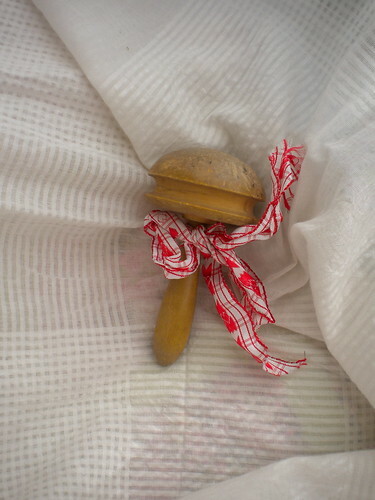 The direct translation of the norwegian word for it is, darning mushroom. You see how ours are shaped more like a mushroom than an egg? Anyways. No more holes in my socks! 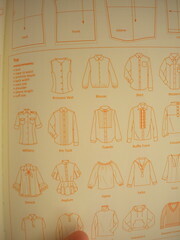 Most of the book consists of templates, but the first pages are packed with sewing and design related information and drawings. 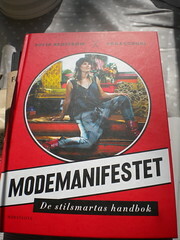 The first book is called Modemanifestet, de stilsmartas handbok. This is an anti-shopping manifesto. The author went on a 365 days long journey without shopping, and searched for alternative style solutions. This book is what she came up with! 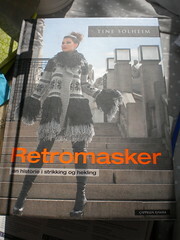 Retromasker is the third book from Norwegian knitting and crochet designer Tine Solheim. The pieces in this book incorporates knitting patterns from older times in new settings. 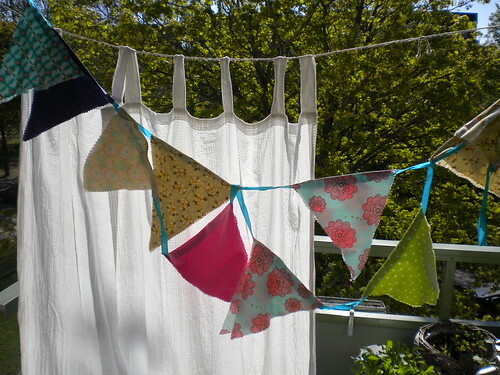 Last week on The Sew Weekly the inspiration came from children´s books. And you know what I got from my family? 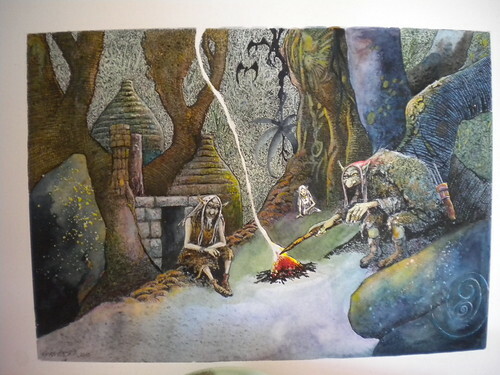 An original drawing from my favorite author and illustrator, Thore Hansen. Growing up, I read all of his cleverly written and beautifully illustrated books. I am so thankful to have such a wonderful family who knows what I like! This is the piece I got. Look at all the details! Everything is drawn and painted by hand. Shoes! And not just any shoes. Shoes from TRAIDremade. Only nine pairs exists, as every pair is made from recycled material. 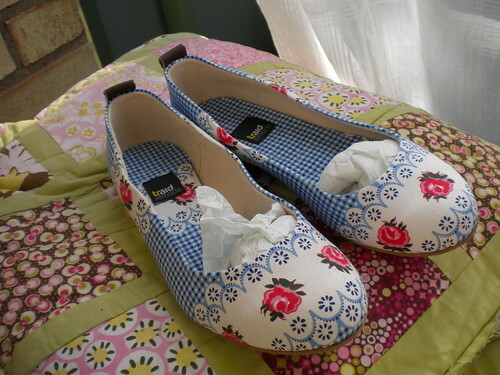 They are called Jam Jar Golightly Pump, and are just the cutest ever! By the way, I came across this sympathetic company through Zoe, as she has the awesome job of making refashions to sell through this website (must be the best job in the universe, right?). Happy Birthday! What a great haul. 🙂 Those shoes are just delightful, and ethical on top of that, AND unique. Wicked. Happy Birthday Solvi- 30’s special – enjoy your year. Looks like you’ll be getting plenty of sewing in! Happy Birthday! Congrats on near-finishing the knitting – can’t wait to see! Those look like some really fab presents; amazing books! Oooh, belated happy birthday! 🙂 That sketchbook looks awesome and the shoes are super cute! Happy 30th Birthday 🙂 Hope you had a fabulous day and that you’re enjoying your lovely gifts. Your gifts are all fabulous, but especially those shoes. Jam Jar Golightly…that’s adorable! Happy belated Birthday! Gorgeous gifts, i love your Thore Hansen drawing! HAPPY BIRTHDAY!!! I hope you had a fantastic time! 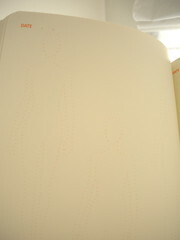 Love the gifts and it’s really great to see the Thore Hansen drawings after you mentioned it…fantastic book!! Oh and definitely next time we have a UK meet-up–you’ll have to come over!! What lovely birthday gifts! Interesting; we call those darning mushrooms too, not eggs. Which country calls them eggs, do you know? 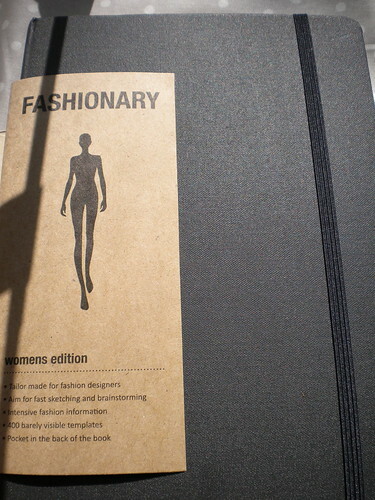 I have a fashionary too. It’s lots of fun, even if I don’t end up making all of my planned things! Than you Carolyn! I´ve seen the term darning egg on ebay as well as in google translate, so I guess it is an american, perhaps british term? Those darning eggs do look a lot more like eggs too, I might add! 🙂 I wonder where one uses eggs and not mushrooms. And why. Oh, the questions. Hm…. how did i miss this post and your birthday?!!! i hope you have had a wonderful birthday month! !